Our first day in London started around 7AM GMT when the lights on the plane turned on and breakfast service began, an hour-an-a-half-ish before we'd be landing. We had a 100mph tailwind on the way over, so we arrived an entire hour ahead of schedule. This also meant we only got a few hours of sleep since the flight was so short. Eeeeks. And it was 1AM Huntsville time. Nevertheless, we were stoked to start our trip! We breezed through immigration and customs, then headed to the airport Underground stop. There are three ways of getting from London Heathrow to central London, and they all take about the same amount of time (40ish minutes depending on where in London you are headed). First, you can take a car, arrive a bit quicker if traffic conditions are good, and pay a fee starting at £40 ($60) one-way for an Uber (more for other services). 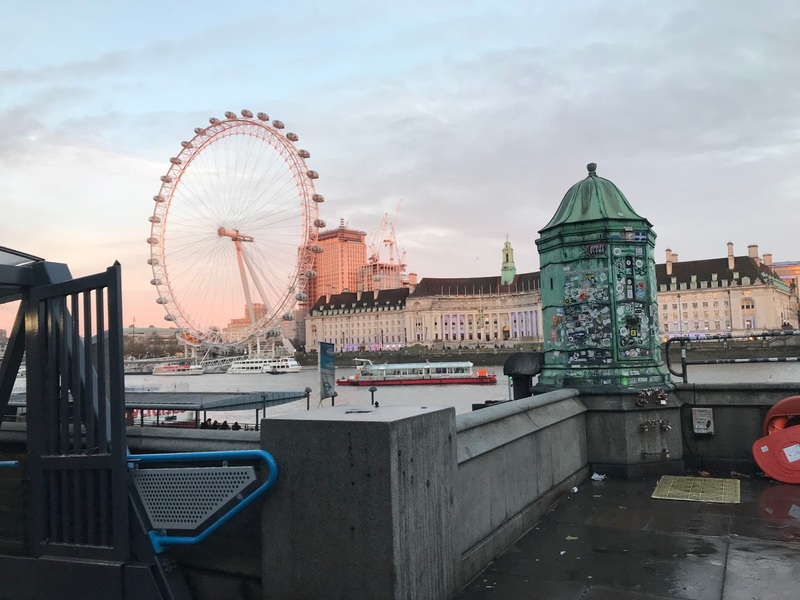 The Heathrow Express is the second option, a train that will take you to Paddington Station, but it runs about £30 and you'll still need a way of getting to your exact location (car or Underground). 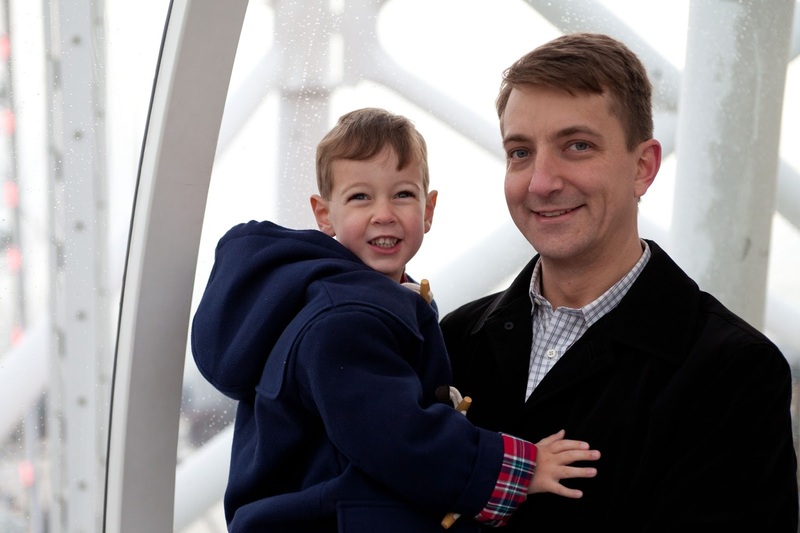 (We did the train the first time we went to London several years ago). Finally, there's the London Underground, which is how Husby has been shuttling to and from Heathrow for his past several business trips. If your hotel is on the Picadilly line, it's a straight shot with no line changes, and it's by far the least expensive of the options (I think it was literally £2 each way, which is practically free in comparison). 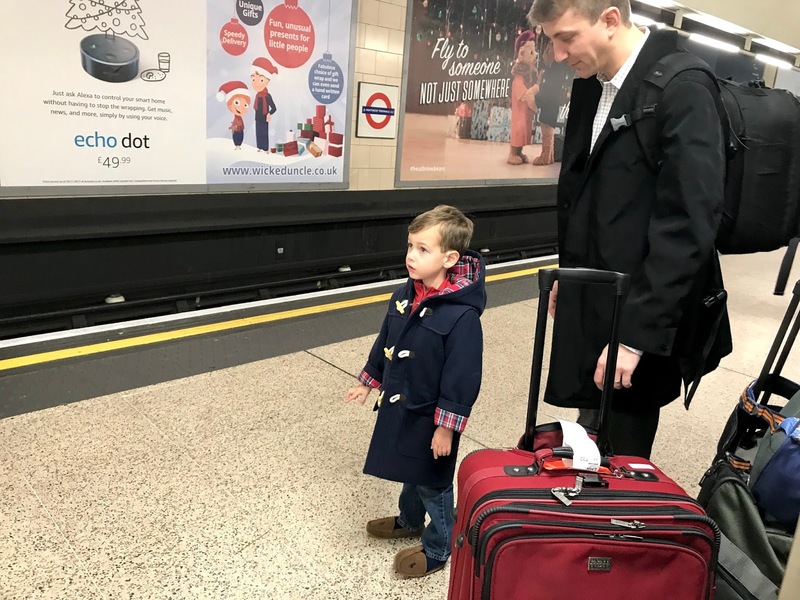 If you have a ton of bags, you will definitely want to use a car service because the Underground stations all have stairs - and most do not have an alternate route (elevator or ramp), meaning you'll be lugging your suitcase(s) up and down stairs. For us, two rolling suitcases (plus our carry-on backpacks) was right about at the limit of what was doable. Here we are waiting for our first ride on The Tube! Side note - we used The Underground exclusively during our stay, had a great experience with it and never waited more than a few minutes for a train. The experience of riding The Tube was also a favorite for Parker, and since coming back home, he's reenacted the whole process with his toy train, calling out stations and lines and reminding the passengers to "Please mind the gap between the train and the platform." Husby's conference was in Chelsea, but I had read that neighboring Kensington was best for families so we booked a hotel there. I was cautious with my expectations (London can be cramped, tiny, and I was half worried we'd be looking at twin beds), but our room at The Crowne Plaza Kensington was nice and updated, overlooked a garden in the back, and had two double beds (which is about as good as you can expect there). It was also a decent price point and I would totally recommend it. 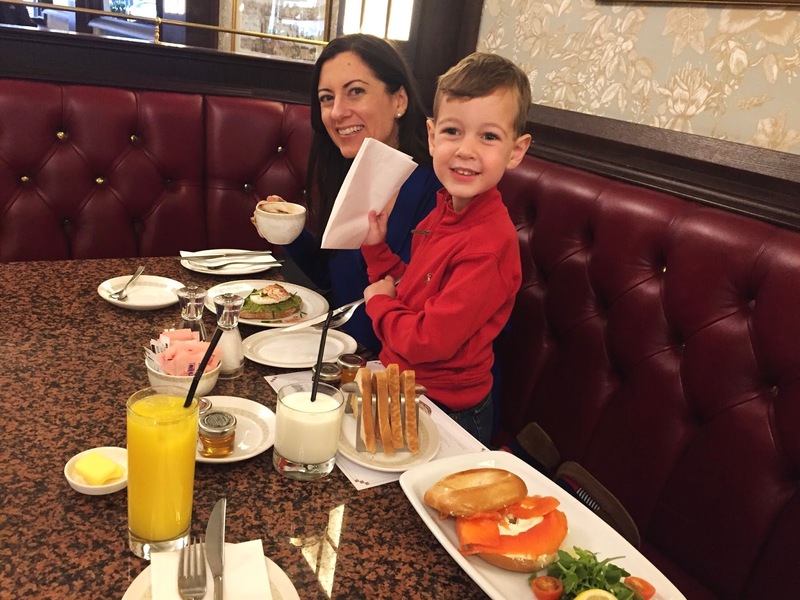 I know that lots of families do Airbnb, but I still prefer the amenities in hotels (and since we're just a family of three and Parker is young, two beds and one room still works perfectly for us). The very best part of the hotel was the location - I knew it was close to the Gloucester Road Underground stop, but I hadn't realized it was right across the street. Score. 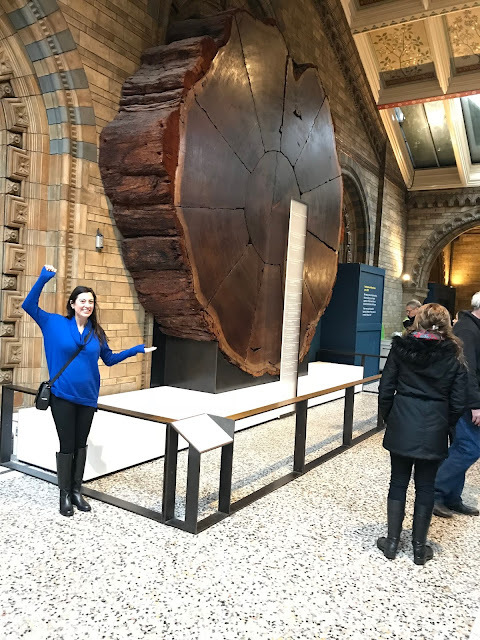 It was also a short walk to Hyde Park and Kensington Palace, on the same street as The Natural History Museum, and around tons of shops, cafes, and restaurants. It was busy without feeling overly crowded like some of the other parts of London (I'm looking at you, SoHo). Plus, how adorable is this area? It just makes me smile. We walked across the street in - wait for it - freezing rain (you know, that almost-snow wintry mix?). It was by far the coldest of all the days we would be there, and we even spotted patches of ice here and there. We checked in, dropped off our luggage with the concierge, an decided to head back across the street where there was a covered indoor mall-type space with shops, a grocery store and restaurants. It was 10:30AM and our room wasn't ready, but when traveling East you want to adjust to local time right away anyway. We perused the grocery store, and it was so interesting to see the different food and goods! We looked for a SIM card for my phone, and then decided on this cute cafe for an early lunch. I loved looking out at the hustle and bustle on the street while being nice and warm and dry. This was I think the only time the entire trip that we used an umbrella. All the advice I read said to take an umbrella (or purchase one there), but if you're pushing a stroller, it's hard to also wield an umbrella. When Parker and I were out on our own in the rain, I just donned my hood and covered his "pram" with the rain shield. After waiting in a short line and heading through security, we realized our little guy had fallen asleep. Bless. 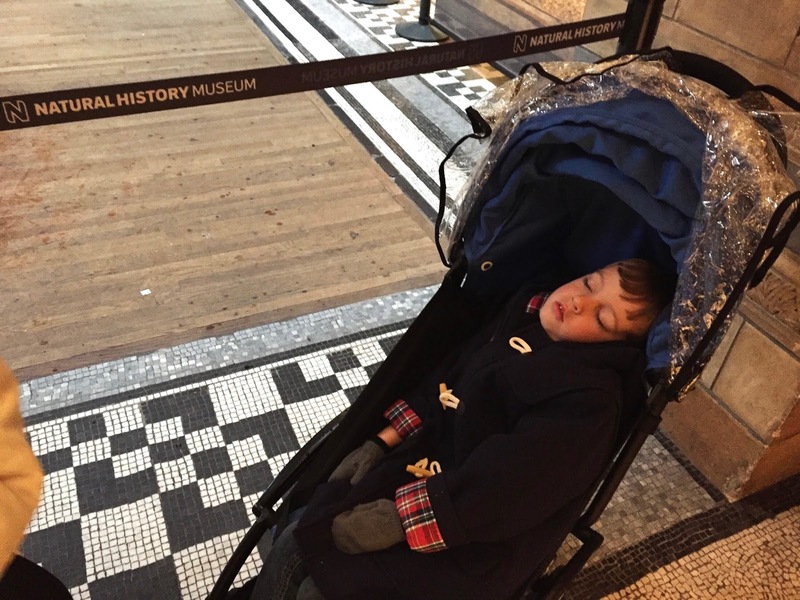 We were warm, and dry, and had no hotel room yet anyway, so we enjoyed the museum and let Little Man rest. We felt like those people who carry around gnomes and take pictures with it in front of things. Every little nook and cranny of the space was beautiful and amazing. Gems and minerals, my fave. Rainbow of diamonds - all the heart eyes! And the Giant Sequoia, California made, just like me. From there we headed over to Westminster where we had tickets to ride The London Eye! We rode The Tube and tried out the fold-up feature on the stroller - brilliant! 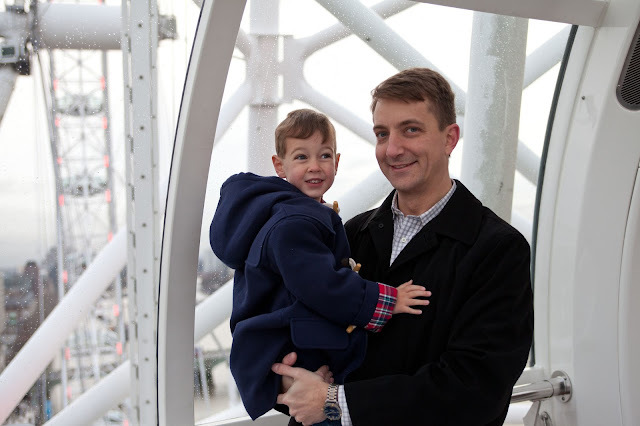 We actually had to wake up Parker to head onto the tube, but our sweet guy was so excited it was almost time to ride The London Eye - out of all the activities, this was the one he was most looking forward to. 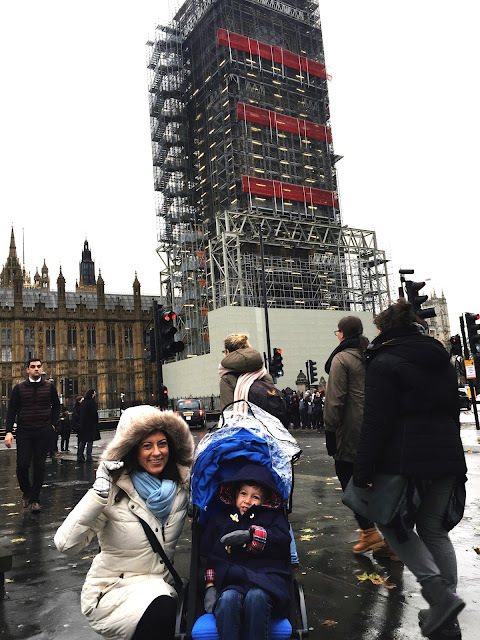 We hopped off the tube in Westminster and said hello to Big Ben, currently under renovation until 2020! If you look inside the scaffolding, you can kind of make out the face of the clock. 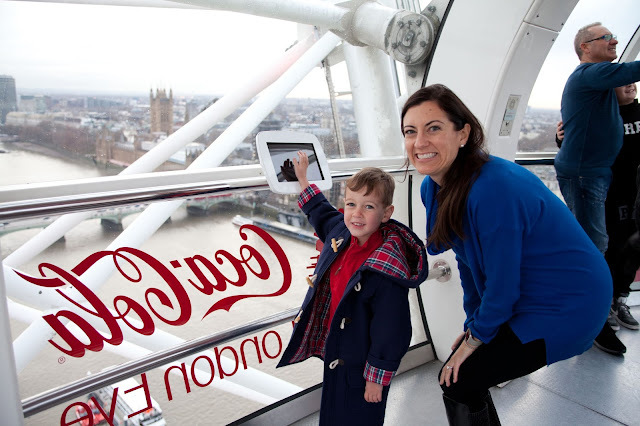 ...because, I had one of Max in the same exact spot from 2010! 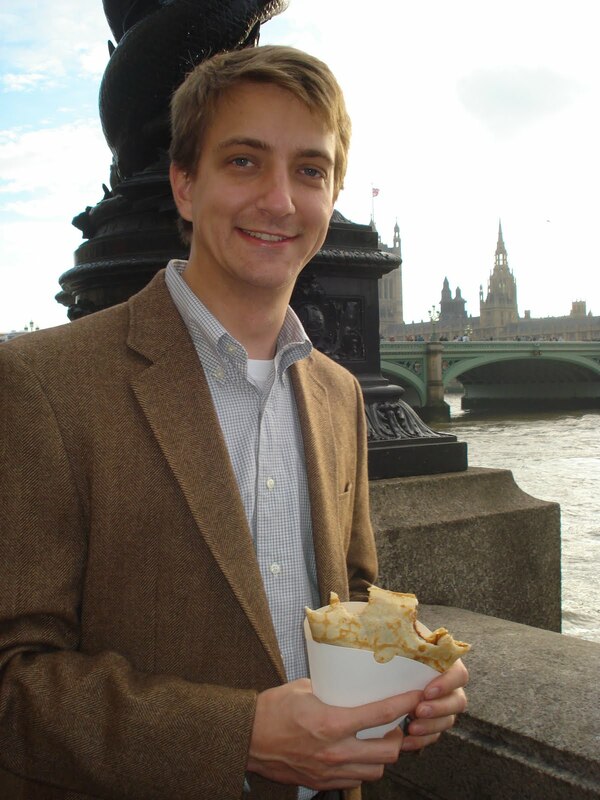 Note the differences - it was a sunny summer day, we were munching on crepes outside, and Parker was just a faraway idea! 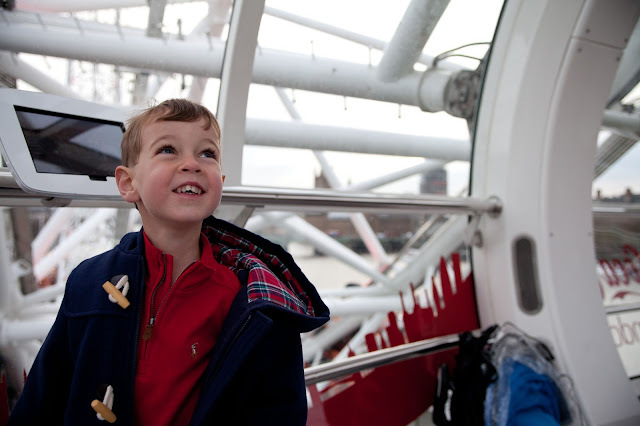 Parker was thrilled to be riding this giant ferris wheel! 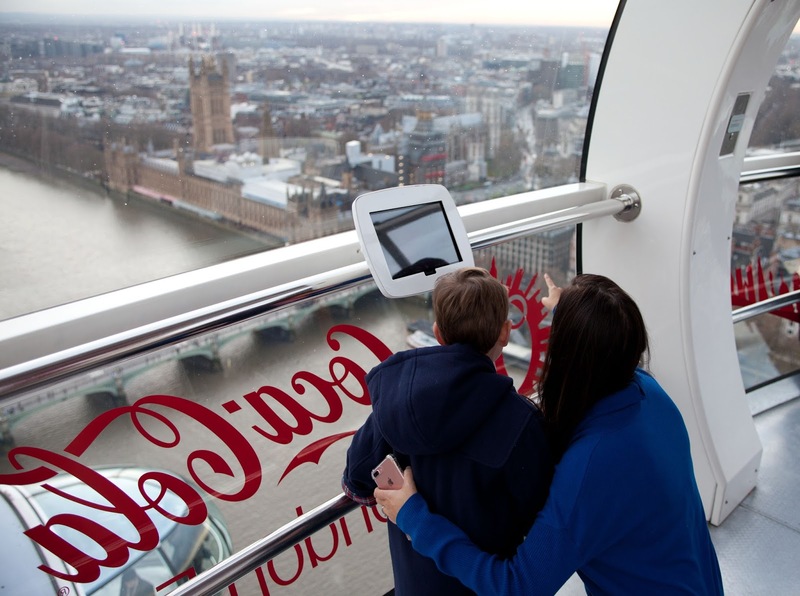 The capsules are completely enclosed and temperature controlled, so it was a lovely thirty-minute ride. 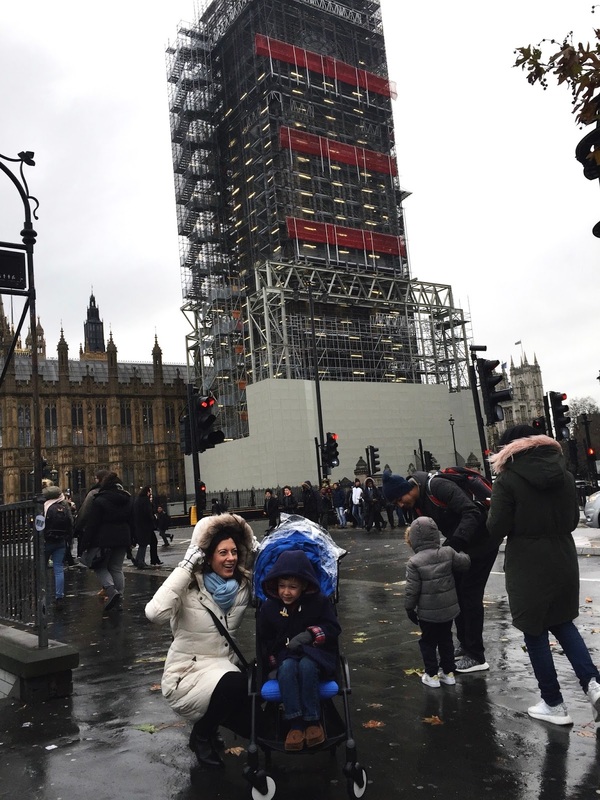 I was pleasantly surprised that, despite the earlier rain, we could see everything! 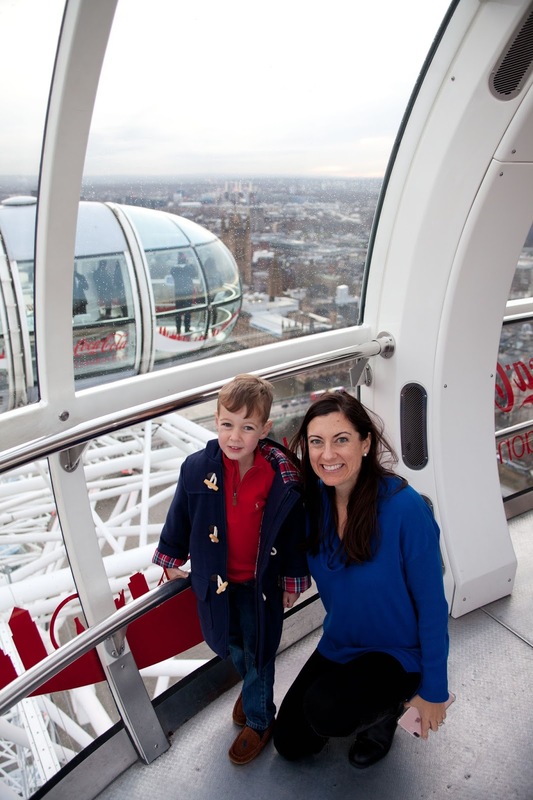 After riding The London Eye we decided to head back to the hotel and hopefully beat rush hour crowds on the tube. We crossed Westminster Bridge one more time, and before heading into the Westminster station, I looked out across the River Thames and saw these gorgeous colors! No filter, just London beauty. Back at the hotel, our room was ready so we unpacked and rested and did our best to stay awake until a reasonable dinner time (we even made an exception and turned on the "telly" to view some English television and listen to those accents!). 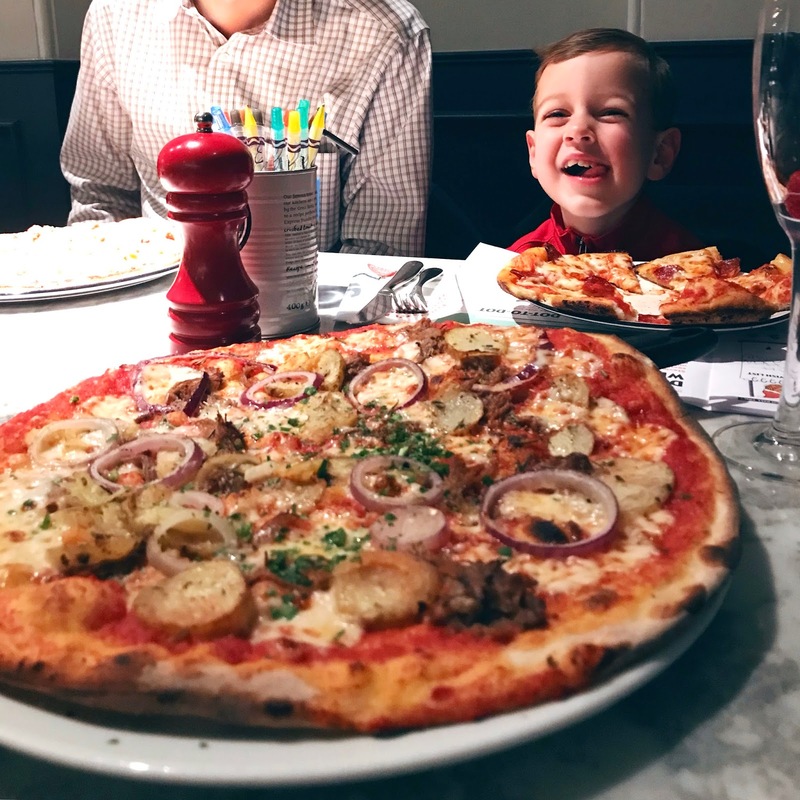 Parker had been talking about pizza since lunchtime, so we headed across the street to Pizza Express for an early dinner after freshening up. 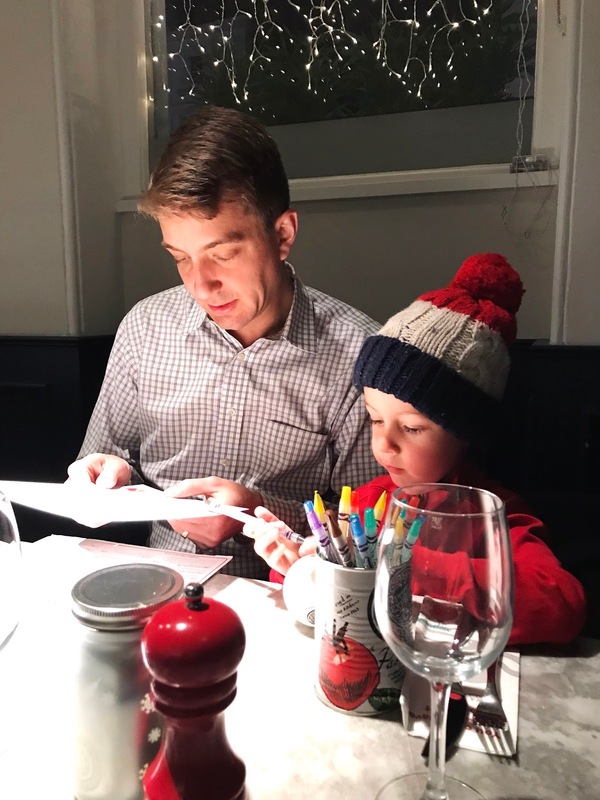 They were super kid friendly, and Parker enjoyed filling out his kid's menu activities, including a wish list for Santa! Perfect timing as we'd be visiting "Father Christmas" the next morning. The local group who ended up next to us chatted with Parker on the way out and were smitten with his accent- as was I with theirs! Parker proudly read them his Christmas list: Red Bicycle, Batting Helmet, Operation the game, Bath Bomb. And while we had seen plenty of Christmas decorations out and about, I was introduced to the special Christmas drinks that we would see all over London. Lots of the restaurants had limited-time holiday specials, so I enjoyed Prosecco & Chambord (one of my favorites) with my horseradish, beef and potato pizza. 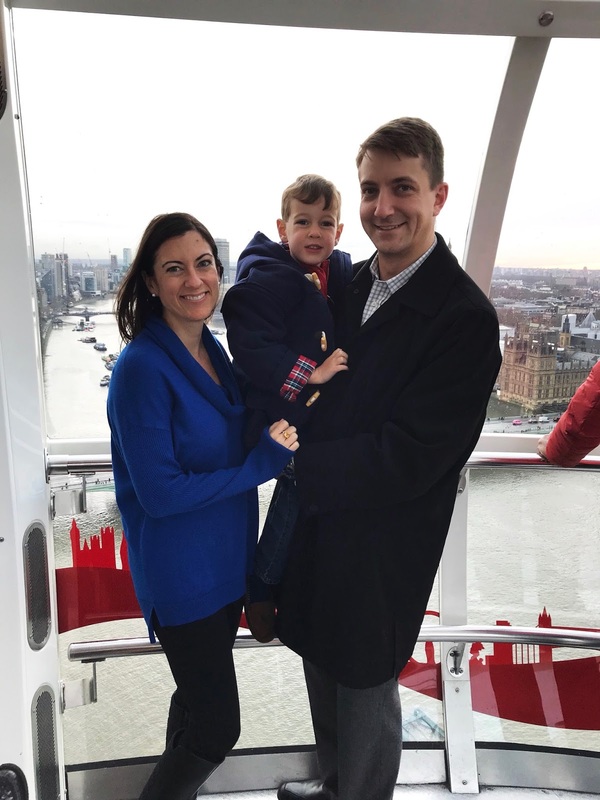 Our dining over the course of the trip was so much fun, and it was awesome to be able to introduce Parker to lots of different cuisines. It was early to bed for us, and despite devouring this entire pizza, I still woke up at 1AM local time (dinner time back home) starving. At one point I think all three of us were awake in the dark, but we had talked with Parker about how it takes some time for bodies to adjust to new time zones, and luckily he went right back to sleep until we had to wake him up in the morning. 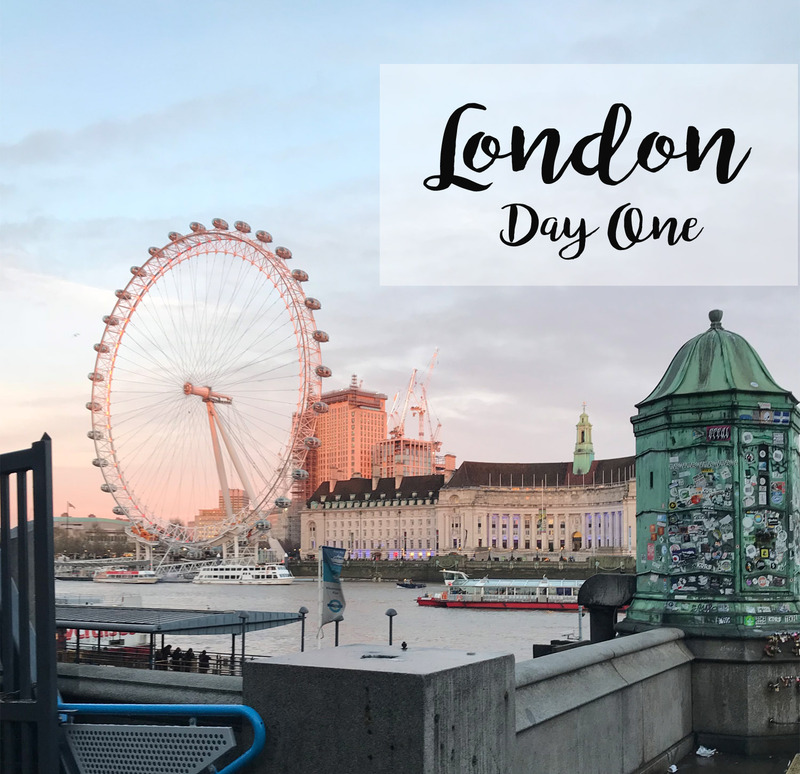 Click here for London Day 2! What an amazing day despite the weather! 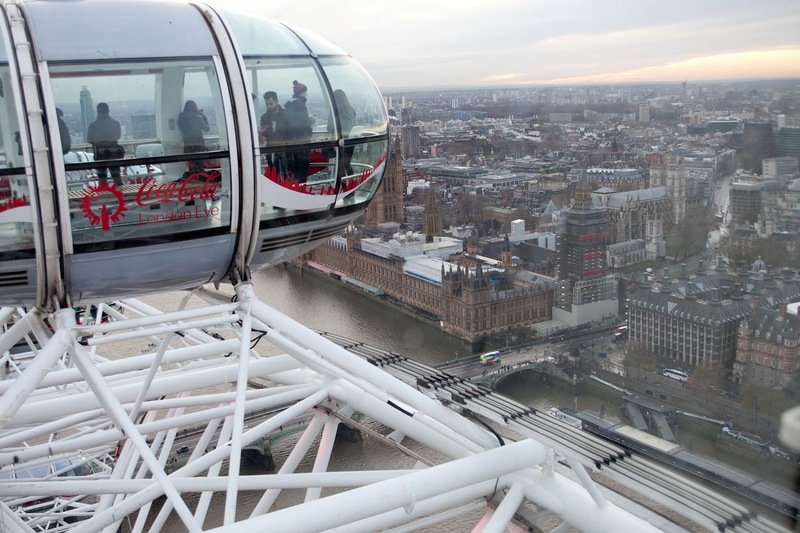 Riding the London Eye is on my bucket list! I can't wait to do that one day! I loved this recap. It reminds me of my first time in London. I am staying in Kensington as well.